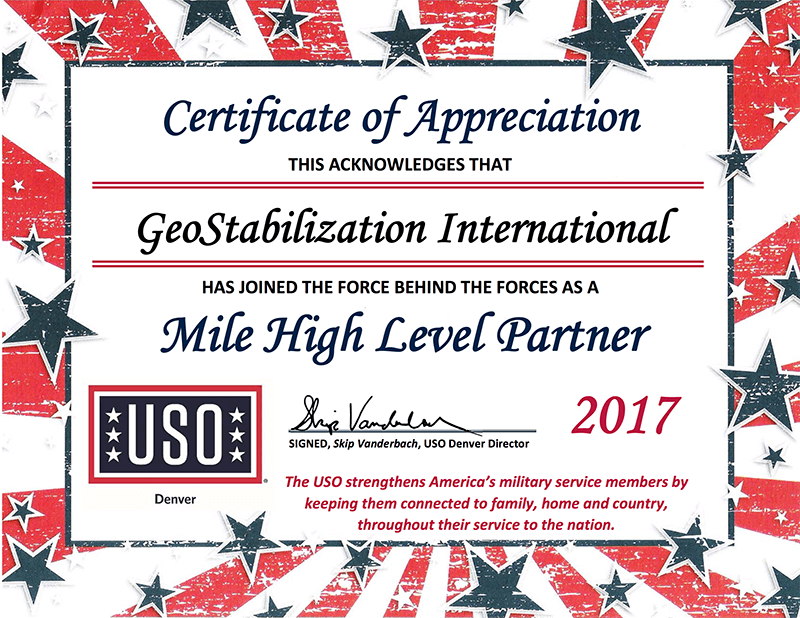 GeoStabilization International® was recently recognized as a Mile High Level Partner by the USO for our continuing support. 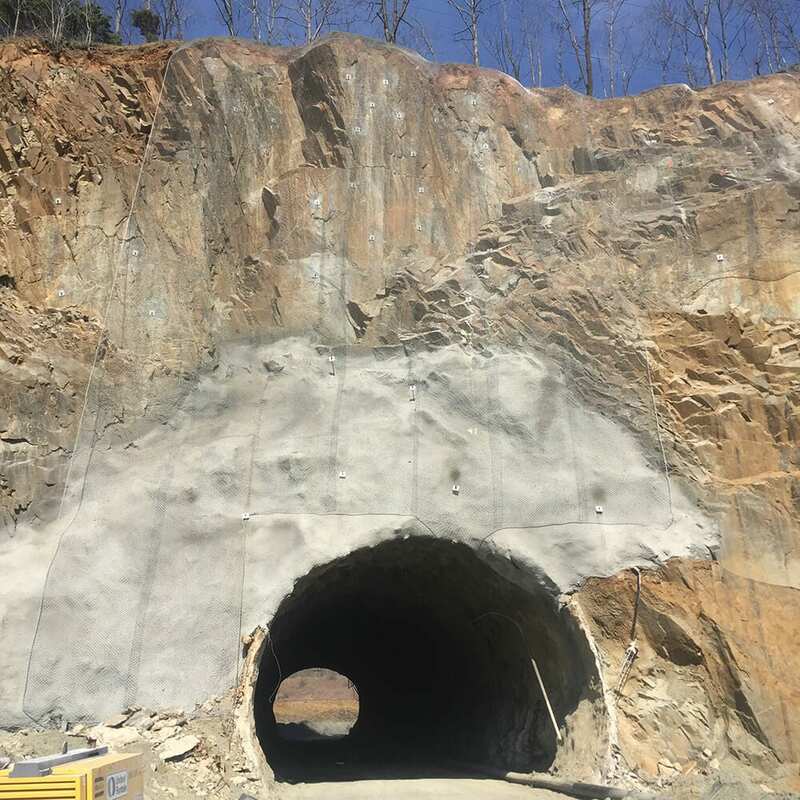 GeoStabilization has a proud record of veteran hiring and promotion within our organization and actively recruits veterans from across the country to fill our most critical needs. USO Denver’s programs include emotional wellness, entertainment, informational services, food, holiday celebrations, and transition programs that GeoStabilization believes are essential for our military service members and we are honored to support their mission.